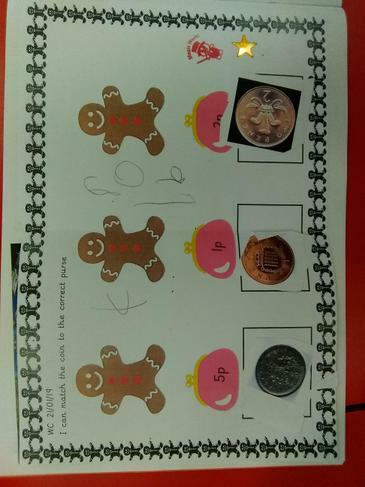 This week our independent challenges included; matching the right coins to the gingerbread men’s purses and trying to mix colours to make brown. We all gave it a really good try. 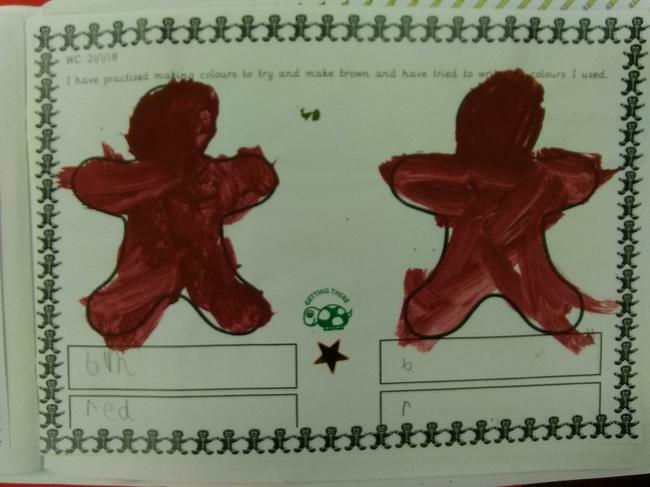 Some of us were able to label the colours we used to make brown. 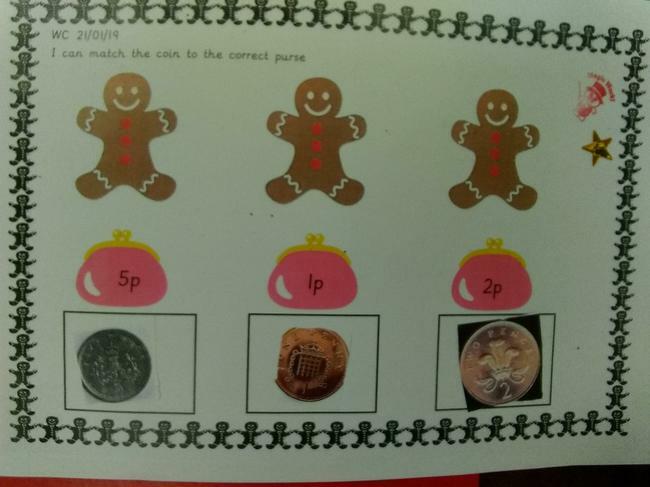 We all did fantastic at matching the coins to the purses because we looked closely at the numbers on the coins to match them to the numbers on the purses and we knew that 5p was silver not brown. We learnt about capacity. We filled different sized and shaped containers with water. We compared the capacity of these different containers and ordered them from smallest to biggest. 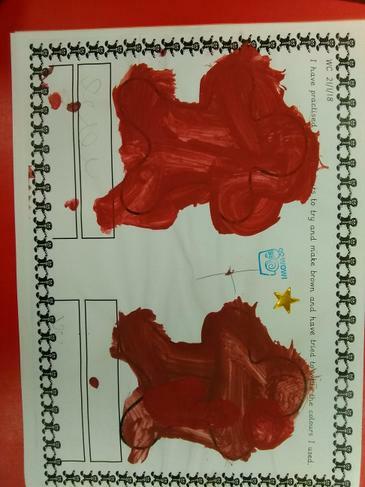 In literacy we have been summarising the story of The Three Billy Goats Gruff. 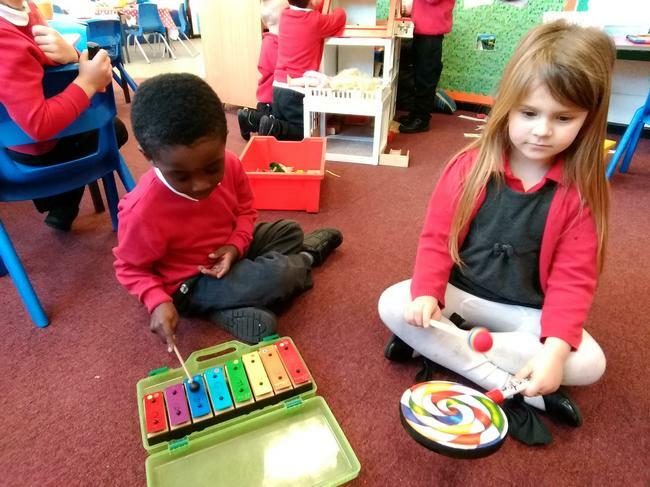 We are really enjoying this story! 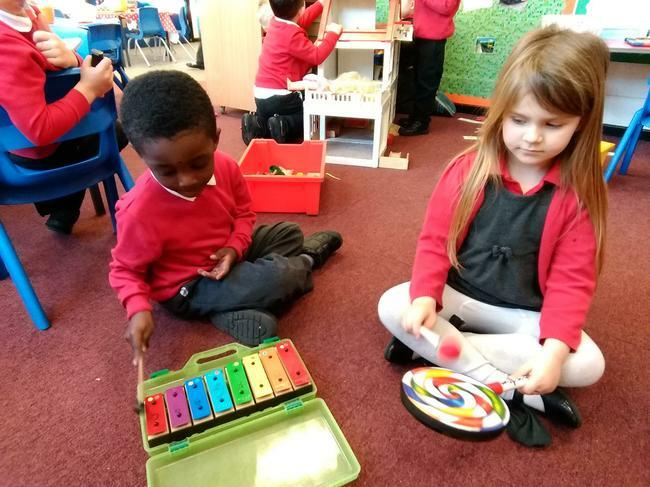 We have learnt how to play different musical instruments. 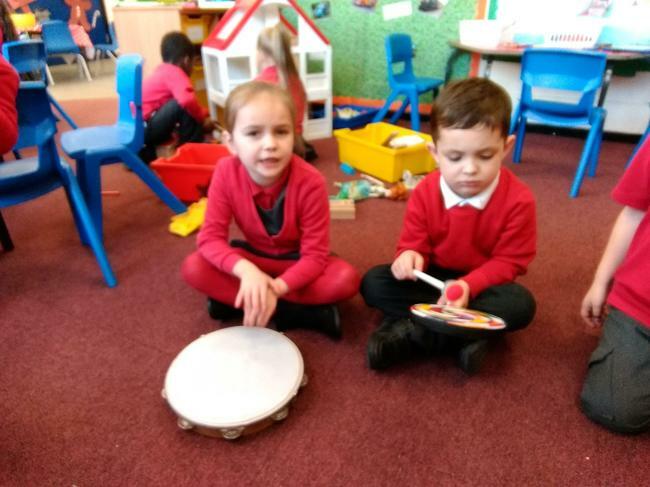 We listened carefully to the sounds the instruments made and used them to help tell the story of the Three Billy Goats Gruff. 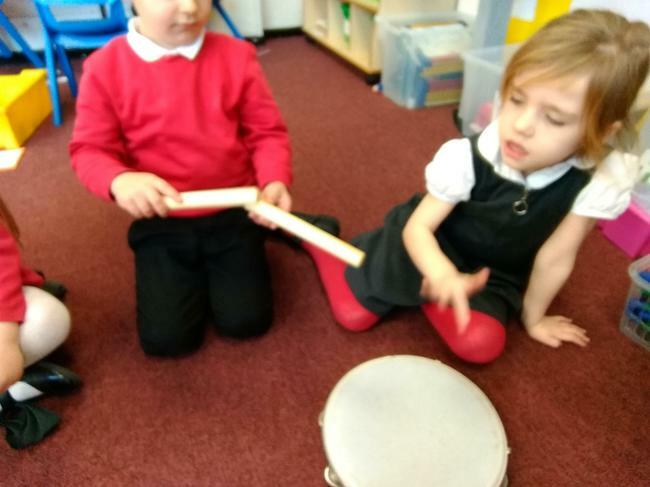 We really enjoyed this activity and made very sensible choices about the instruments to use for which section of the story. We were able to experiment with the volume of the instruments. 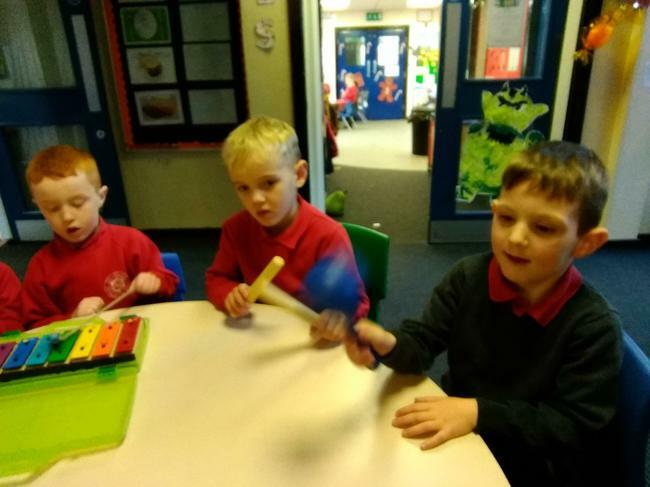 In music this week we were very lucky and got to play the Boomwhackers. 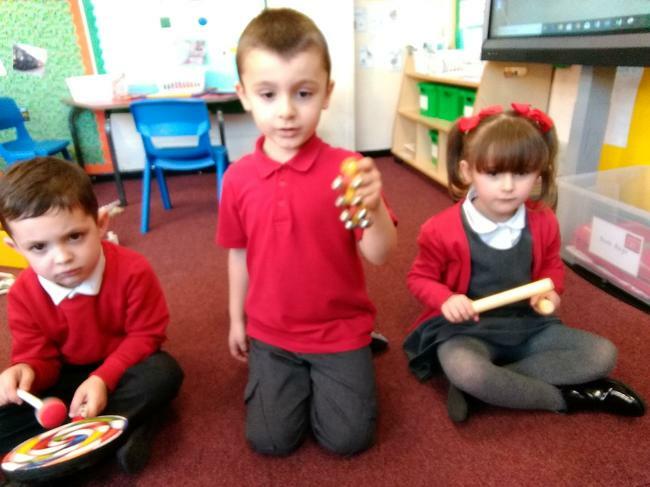 We started off by trying to play the church bells tune and then moved on to Twinkle Twinkle, Baa Baa Black Sheep and the Wheels on the Bus. 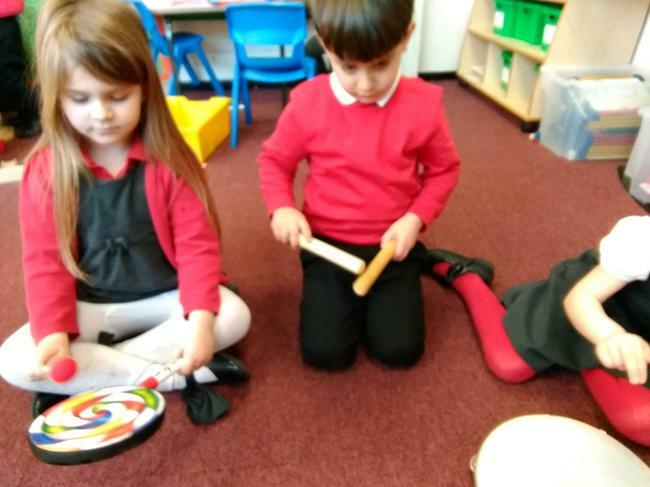 We are getting very good at using the Boomwhackers and are looking forward to more practise!